This memorial is dedicated to the River Oaks Volunteer Fire Fighters who have lost their lives in the line of duty. May their sacrifice serve as an eternal example of their dedication and commitment to our community. 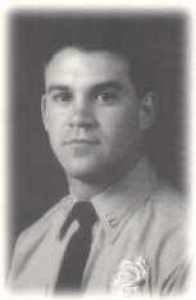 Phillip Wayne Dean, 30, a Fire Engineer in the Fort Worth Fire Department, gave his life in the line of duty while fighting a church fire in Lake Worth, Northwest of Fort Worth, on Monday, February 15, 1999. Phillip Wayne Snell, II, was born in Fort Worth, son of Phillip and Genie Snell. His father passed away in 1973 at the age of 28. His mother was later married to Charles Dean who lovingly raised Phillip and his sisters as his own children. 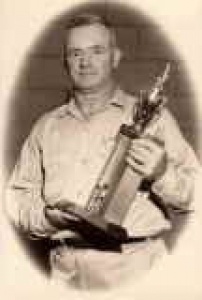 Phillip graduated from Castleberry High School, where he first met his future wife Renea. They were married in 1994. Phillip graduated from the University of Texas at Arlington with a degree in Criminal Justice. His love for his work began in 1986 when he first volunteered for the River Oaks Fire Department. He graduated from the Fort Worth Fire Academy in May of 1994. He had just received a promotion to Fire Engineer. Phillip was a member of Trinity Baptist Church where he taught a Sunday School class of ninth grade boys and enjoyed singing and playing the guitar. He also enjoyed playing roller hockey during his time off. Phillip was greatly loved by all who knew him and was known as a man of integrity, loyalty, and compassion. His greatest desire would have been to see those who grieve over him come to know his Savior, Jesus Christ - of His death in our place to pay the debt of our sin, of His glorious resurrection through which we have hope, and of the love that Phillip now enjoys with his heavenly Father. On February 20th, 1999, Renea Dean gave birth to their son, Elijah Dean. Brian William Collins, 35, a Lieutenant in the Fort Worth Fire Department, gave his life in the line of duty while fighting a church fire in Lake Worth, Northwest of Fort Worth, on Monday, February 15, 1999. 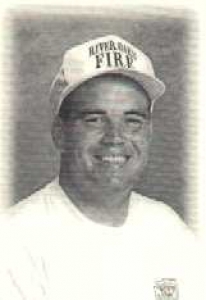 Brian had served 15 years with the Forth Worth Fire Department, 19 years with the River Oaks Volunteer Fire Department and was a 10-year veteran master sergeant with the Air Force Reserve. He was on the promotion list for fire captain in the Fort Worth department, expecting promotion in the next several weeks. Brian Collins was born January 28, 1964 on Staten Island, N.Y. His early childhood years were spent in Missouri, Virginia, Maryland and Washington, D.C. At age 16, he joined the River Oaks Volunteer Fire Department. The first major structure fire he helped battle was the River Oaks United Methodist Church, where he stretched and rolled hoses. His last fire was at Precious Faith Community Church in Lake Worth, where he was manning a hose nozzle, having re-entered the building to provide a needed covering hose for the men still inside. Between these episodes, Brian's life and service epitomized what it meant to be a dedicated fireman who would place his life on the line to be of service to his community. He was the first certified emergency medical technician (EMT) of the River Oaks Volunteer Fire Department at the age of 19, action on his own initiative, paying for and completing the course offered by the College of Osteopathic Medicine. He was qualified as a master firefighter for Fort Worth through his years of experience and specialized training. He served the city of River Oaks as fire marshal, chairman of the park board and was the current emergency management coordinator. Brian married Mary Ray of Fort Worth on June 4, 1987, Son Ryan, age 5, and daughter Hannah, age 2, were the central elements of his life. A third child is expected in June 1999. His desire to live as a husband and father of Christian character, values and convictions governed his many-faceted life. The family is very active in their home church of Birchman Baptist Church. Brian was a godly man, a loving husband, father, and son and brother, and a dedicated community servant. He will be greatly missed. On June 23rd, 1999, Mary Collins gave birth to their son, Nathan Dean Collins.